Snuffy Smith and I spent a beautiful morning visiting with friends and doggies at Sarasota's gorgeous Bayfront Park. From the Dolphin Fountain to the new sculptures on the waterfront, the Bayfront was bustling with activity. Children, even tots, their parents and doggies were everywhere. Boats were preparing to pull out and LeBarge, Sarasota's party boat was preparing for a cruise. Snuffy and I saw lots of doggies that convene every Saturday morning, a tiny tot with her Daddy, walkers, runners, and bikers, all along the park's waterfront path. We also saw pelicans diving for their morning catch. This is one of our favorite spots and one of the beauties of our home city! The children's fountain area was quiet as the Sarasota weather was a little chilly. I didn't see the fountain spraying until 10:00 am which I believe is opening time. The Tiki Bar at O'Leary's was very quiet but by sunset, it will be humming until the wee hours. 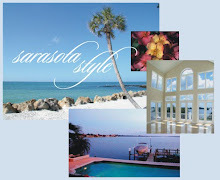 If you are searching for downtown Sarasota real estate, contact Annette Smith at 941-504-3922. Maintenance free condo living is available right across the street from the Sarasota bayfront with highrise condos such as Essex House, Tessera and Regency House. For grand living, search the Sarasota MLS on our main site and make an appointment to see a condominium in Sarabande. We regularly show in all these downtown Sarasota condo buildings.